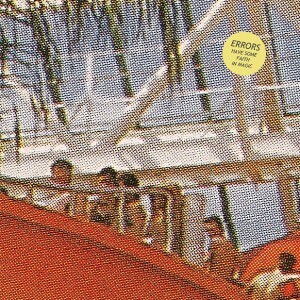 The critical success of Errors’ gloomy, pulsating 2008 debut LP, It’s Not Something But It Is Like Whatever, could have been the catalyst for the Scottish electro-indie (“post-electro,” says Wikipedia) four-piece to unleash a rapid-fire succession of releases exploiting the bubbling momentum surrounding them. But rather than rest on their laurels, Errors pressed on with furthering their sound and, following a touring schedule that’d punish the most wanderlust-possessed act, the rich ambition of Come Down With Me arrived. A vindication of Rock Action’s patient support, and of the band’s own convictions, Come Down With Me is now followed by a third long-play set – and anticipation has been rightly brewing. Dedicated to relatively small evolutions over giant leaps into the unknown, Errors have progressed from the tempered darkness of their debut and the shimmering shoegaze and rumbling beats of its successor to deliver their most composed, defined album to date. The cold, metronomic percussion is as exact as ever, but here it’s nuanced by the confidence to commit previously half-heard vocals to the mix in a more pronounced fashion. Balanced and shaded, these contributions give the album a subtle layer of humanity that melts into the synthetic backdrops beautifully and, significantly, are not the distraction they could so easily have been. Not a band to indulge in the ostentatious, the vocal aspects are as considered as any element in Errors’ controlled musical mechanics. Looped and processed wails waft into the electricity around them – they’re a welcome stranger, too, bringing colour to Pleasure Palaces which syncs wonderfully with the outfit’s unflinching heartbeat. Elsewhere, words possess Barton Spring with an eeriness that’s reminiscent of The Longcut’s raw vocal charge. Buoyed by Tusk’s gorgeous, ebbing statement of arctic, Attenborough-esque exploration, the scrambled, pixelated joy of The Knock, and the 8-bit atmospherics of Cloud Chamber, the album’s pensive tempo allows each track to flourish beyond the sum of its parts. The more visceral qualities of albums past is noticeably lacking – the raging Magna Encarta notwithstanding – and Have Some Faith… is impressively characterised by its very organic design. 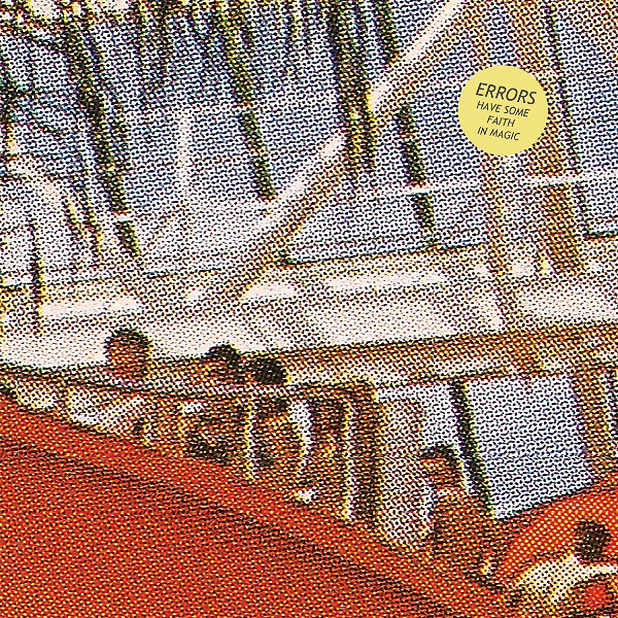 It sounds as if it’s the work of human trial and error, rather than a series of computer-coded phrases and melodies, and it’s this fragility that really has it standing out as the work of a band hitting its peak.